Born in Wisconsin in 1867, Frank Lloyd Wright became obsessed with a set of building blocks his mother had given to him on his ninth birthday. He grew up to become the father of organic architecture and the greatest American architect of all time, having designed more than 1,100 buildings during his lifetime. These included private homes – such as the stunning Fallingwater, churches, temples, a hotel, and the world-famous Guggenheim Museum in New York City. When asked how he could create so many designs, he answered, "I can't get them out fast enough." 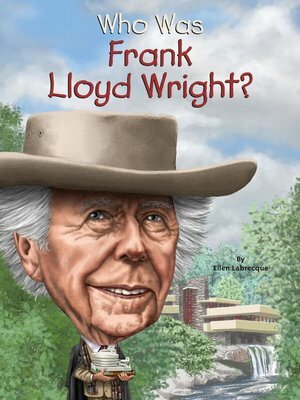 Frank Lloyd Wright was a man ahead of his time who could barely keep up with his own ideas!